BLESSED TRINITY - ROSWELL,GA !!! CATHOLIC MONTGOMERY - MONTGOMERY,AL - 4th 4A STATE !! ST.PAUL'S EPISCOPAL - MOBILE,AL - 5A STATE CHAMPIONS!! CAMPBELL- SMYRNA,GA #8 TIME in STATE 2018 !! HOOVER - HOOVER, AL. - 7A STATE CHAMPIONS / DEF CHAMPS !! St. JOSEPHS - BATON ROUGE, LA. - D1 INDOOR STATE CHAMPIONS !! PELHAM - PELHAM,AL - 2nd 6A STATE!! ST. THOMAS AQUINAS - HAMMOND,LA - 2nd D2 INDOOR. STATE !!! EPISCOPAL - BATON ROUGE, LA - 3rd D2 INDOOR STATE !! JAMES CLEMENS - MADISON,AL - HUNTSVILLE METRO CHAMPS!! CARVER ACADEMY - NO,LA !! CATHOLIC - BATON ROUGE ,LA - D1 INDOOR STATE CHAMPIONS !! HUNTSVILLE - HUNTSVILLE, AL - 3rd 7A STATE !!! HOLY CROSS - NEW ORLEANS,LA - #3 TIME LA 2018 !!! HOOVER - HOOVER, AL.- 4th 7A STATE !! EPISCOPAL - BATON ROUGE,LA - #1TIME LA. 2017 / DEF CHAMPS !! THOMPSON - ALABASTOR, AL - 5th 7A STATE !! CATHOLIC MONTGOMERY - MONTGOMERY,AL - 4A STATE CHAMPIONS !!! PELHAM - PELHAM,AL - 2nd 6A INDOOR STATE !!! ST.XAVIER - LOUISVILLE,KY - 2nd 3A STATE !!! HOMEWOOD - HOMEWOOD,AL-6A INDOOR STATE!!! JOHN CURTIS - RIVER RIDGE,LA - 2nd 5A STATE !! PINE FOREST - PENSACOLA, FL. 2nd 3A STATE !! JAMES CLEMENS - MADISON,AL - MADE 7A FINALS STATE !! THOMPSON - ALABASTER,AL - 7A STATE CHAMPIONS !! CENTRAL - PHENIX,AL - #2 TIME IN AL 2019!! CAMPBELL - SMYRNA,GA- # 3 TIME IN GA 2019 !! EDNA KARR - N.O.,LA. - 4A STATE CHAMPIONS !!! DUTCHTOWN - GEISMAR ,LA - CURRENTLY RANKED # 7 in LA !! VIGOR - PRITCHARD, AL - 6A STATE CHAMPIONS !! HATTIESBURG - HATTIESBURG,MS - 5A STATE CHAMPIONS !! JOHN CURTIS - RIVER RIDGE,LA - #4 TIME IN LA 2019 !! AUBURN - AUBURN,AL - 5th 7A STATE !! MONROE AREA - MONROE,GA - COUNTY CHAMPIONS !! ALLISON NEWMAN -ST.GEORGE'S INDEPENDENT-COLLIERVILLE,TN-2nd D2XC STATE !! FRIEDA KICKLITER - McGILL TOOLEN CATHOLIC - MOBIL,AL - 7A ALL STATE XC!! CALLIE HARDY - PARKVIEW BAPTIST - BATON ROUGE,LA - 2nd 4A STATE !! AMARIS TYYNISMAA-CATHOLIC-MONTGOMERY,AL-4A STATE & DEF CHAMP !! SARA PACER - AUBURN - AUBURN,AL - COMPETED 7A STATE !! BROOKLYN BIANCAMANO - LONG BEACH - LONG BEACH, MS - 5A STATE CHAMP !! HARPER MCGOWAN - AUBURN - AUBURN,AL - 3rd 7A STATE!! ABBEY WEITENBECK - HUNTSVILLE - HUNTSVILLE,AL - 7A ALL STATE XC !!! ISABELLE BROWN - ST.JOSEPHS ACADEMY - BATON ROUGE,LA - 2nd 5A STATE !! McKENZIE HOUGE - THOMPSON - ALABASTER,AL - 7A STATE CHAMP !! ZACK TRUITT -LANDMARK CHRISTIAN-FAIRBURN,GA -4th1A PRIVATE STATE! ZACH YEAGER - McINTOSH -PEACHTREE CITY,GA - 3rd 5A STATE !!! BROCK KELLY - TUPELO CHRISTIAN - BELDON,MS - 1A STATE CHAMP / GATROADE MS XC RUNNER OF YEAR !! CHRIS CHERONO - GRAYSON - LOGANVILLE,GA - COMPETED 7A STATE FINALS !! WILL PINSON - HUNTSVILLE - HUNTSVILLE,AL-6th 7A STATE - !! GRADY SHIFLET- ST.XAVIER - LOUISVILLE,KY - 3rd 3A STATE !!! COLIN HEDGES - CATHOLIC - BATON ROUGE,LA - 5th 5A STATE !! LANCE CUNIGAN - BENJAMIN RUSSELL -ALEXANDER CITY,AL - 3rd 6A STATE!! ALEX CECI - HUNTSVILLE - HUNTSVILLE,AL - 7A XC ALL STATE !!! EVAN ROGERS - AUBURN - AUBURN,AL- 3rd 7A STATE !! ADAM KELLER - PELHAM - PELHAM,AL - 2nd 6A STATE !! JACE JONES - THOMPSON - ALABASTER,AL - COMPETED 7A STATE MEET 2018!! CADE MARTIN - HOLY CROSS - NEW ORLEANS,LA - SUGAR BOWL CHAMPION!!! CALEB SMITH-MARY G.MONTGOMERY-SEMMES, AL-OPEN DIVISION CHAMP 2018 !! CHARLIE LOTT - TRINITY PRESBYTERIAN - MONTGOMERY,AL -4A XC STATE CHAMP !! MARSHALL BUHLER - FONTAINEBLEAU - MANDEVILLE, LA - 6th 5A STATE! WILLIAM PONDER - WALNUT GROVE, GA - COMPETED 5A STATE !!! YASMINE GEORGE - GRAYSON - LOGANVILLE,GA - 2nd Gwinnett County Meet !! ASHLEE OSAJI - JAMES CLEMENS - MADISON, AL - !!! ASHTON LINDLEY - CAMPBELL - SMYRNA, GA - 6th 7A STATE !! MEKENZE KELLEY - CAMPBELL - SMYRNA, GA - #3 TIME RETURNER IN GA !! VANNESSA FRANK - CENTRAL - PHENIX CITY,AL - 2nd 7A STATE !!! KAITLYN COLE - SPANISH FORT - SPANISH FORT,AL - 2nd 6A INDOOR STATE !! JONATHAN MARTIN - HOOVER - HOOVER,AL - 2018 CofCH OPEN CHAMP !! DJ BUTLER - CATHOLIC - BATON ROUGE,LA - D1 INDOOR STATE CHAMP !! RODNEY JOHNSON - EDNA KARR - NO.,LA. - AAU CLUB NAT'L CHAMP !! ANTONIO CRISCO - CENTRAL - PHENIX CITY,AL - #1 TIME IN AL !! CHASE SPANN - MONROE AREA - MONROE,GA - 3A STATE CHAMPION !! GROVER WINSTON -NORTHRIDGE -TUSCALOOSA,AL -6A INDOOR STATE CHAMP!! JAKE NUNN -BRIARWOOD CHRISTIAN-BIRMINGHAM,AL- 2nd5A INDOOR STATE!! JALEAH ALSTON - CAMPBELL -SMYRNA,GA - 7th 7A STATE !! KENNDI SANDERS -MADISON CENTRAL -MADISON,MS-6A STATE CHAMPION !! JASMINE RILEY - PARK CROSSING - MONTGOMERY,AL - 6A STATE CHAMP !! RAVEN NUNNERY - JOHN CURTIS - RIVER RIDGE,LA - 2nd 5A STATE !! ZAKIRIA HOLIFIELD - THOMPSON - ALABASTER,AL - 5th 7A STATE !! DENISE WHITE - BAY - PANAMA CITY,FL - COMPETED 2A STATE!! ARIANE LINTON - DUTCHTOWN - GEISMAR,LA - D1 60m STATE CHAMPION !! CHANICE SPICER-BREWBAKER TECH-MONTGOMERY,AL-5ASTATE CHAMPIONS !!! LANCE WILLIAMS - JOHN CURTIS - RIVER RIGE,LA - 5th D1 INDOOR STATE !! KAM JACKSON - WEST FELICIANA-ST.FRANCISVILLE, LA-3A STATE CHAMP !! CALEB JACKSON-PLEASANT GROVE -PLEASANT GROVE , AL -5A STATE CHAMP !!! COREY WREN - JOHN CURTIS - RIVER RIDGE,LA- D1 INDOOR STATE CHAMPION !! JOSEPH LASTER - DUTCHTOWN - HAMPTON,GA - 2nd 5A STATE !!! TYLER DAVIS - MAE JEMISON - HUNTSVILLE, AL - 2nd 5A STATE !! JOHNNIE McDONALD - MADISON CENTRAL - MADISON,MS - 4th 6A STATE!! JEKOVAN RHETTA - PARKER - BIRMINGHAM,AL - 6A INDOOR STATE 60m CHAMP ! LONDON KENNEDY - WEST FELICIANA, LA - 3A STATE CHAMPION !! JAHNELLE SAUNDERS - BETHEL - HAMPTON,VA - 3A STATE CHAMPION !! AALIYAH BROWN -MUHAMMAD -BAKER -MOBILE, AL. -7th USATF J.O.NAT'ls !! MAKIYAH SILLS - HOMEWOOD -HOMEWOOD, AL-6A 60h INDOOR STATE CHAMP !! SIERRA SESSIONS - EDNA KARR - N.O.,LA.- 2nd 4A STATE !! KELSEY WHITE - BAKER - MOBILE,AL -2nd 7A INDOOR STATE 60h !! ZION RICE - CAMPBELL - SMYRNA, GA - COBB COUNTY CHAMPION !! CHRISTOPHER HUDNAL-HARRISON CENTRAL-GULFPORT, MS -6A STATE CHAMP !! KEIRSTON PAIGE - HATTIESBURG - HATTIESBURG, MS - 5A STATE CHAMP !! DeANTHONY COLEMAN-G.W.CARVER -MONTGOMERY,AL-6A STATE CHAMP!!! JALEN AIBOGUN - CENTER POINT - CENTER POINT,AL - 3rd 6A STATE !!! ZACH HAWKINS - GRAYSON - LOGANVILLE, GA. - !! ELIJAH COMPTON - MONROE AREA - MONROE,GA - 2nd 3A STATE !!! MYLES MARSHALL - LASSITER - MARIETTA, GA - ALL AMERICAN !! EMONI COLEMAN-MILLER GROVE- LITHONIA,GA- 5A STATE CHAMPION !!! EMMA LANGLEY - HOOVER - HOOVER,AL - 6th 7A STATE !! BELLE REA - FOLEY - FOLEY,AL - 6th 7A STATE INDOOR 400 !! BREANNA BECCERA-ST.THOMAS AQUINAS-HAMMOND,LA-D2 IND.STATE CHAMP! KATIE STROZIER - PELHAM - PELHAM, AL - 6A STATE CHAMPION !! MAKYLAH JONES - CAMPBELL - SMYRNA,GA - 6th 7A STATE !! CLAIRE FRAZIER BOLTON - McGILL TOOLEN - MOBILE,AL- 2nd 7A IND STATE !! LAILA JACKSON - JOHN CURTIS - RIVER RIDGE,LA - 2nd 5A STATE !!! ALEX WILKINS - PELHAM - PELHAM,AL - 3rd 6A STATE !!! ERIN CANNON - HOOVER - HOOVER,AL - 6th 7A INDOOR STATE !! EOIN CORBETT - ST.XAVIER - LOUISVILLE,KY - 5th 3A STATE !! JONATHON MYRTHIL - NORTHSIDE - COLUMBUS, GA = 3rd 4A STATE !! JONATHON DAVIS - BAKER - MOBILE,AL - COMPETED 7A STATE !! LOGAN JUSTICE - HOMEWOOD - HOMEWOOD,AL - 2nd 6A INDOOR !!! TATE OGBURN - AUBURN - AUBURN,AL - 4th7A INDOOR STATE!! QUANDAVEUS GILLIAM - CENTRAL - PHENIX CITY,AL - 5th 7A INDOOR STATE !! CADE FLATT -MARSHALL COUNTY-BENTON KY -MIDDLE SCHOOL STATE CHAMP ! ISIAH TRAVIS - BEN FRANKLIN - N.O.,LA - RANKED # 3 IN LA !! KENNEDI SANDERS-MADISON CENTRAL-MADISON,MS-2nd 6A STATE /DEF CHAMP !! DENISE WHITE - BAY - PANAMA CITY,FL- 5th 2A STATE !! JASMINE RILEY - PARK CROSSING - MONTGOMERY,AL -2nd 6A STATE !! ZAKIRIA HOLIFIELD - THOMPSON - ALABASTER,AL - 3rd 7A STATE !! CHANICE SPICER - BREWBAKER TECH - MONTGOMERY, AL - 5A STATE CHAMP !!! MEKENZIE KELLEY - CAMPBELL - SMYRNA,GA - #1 TIME in GA !! KAM JACKSON - WEST FELICIANA - ST. FRANCISVILLE, LA -#2 RETURNER 2019 !! JEKOVAN RHETTA - PARKER - BIRMINGHAM,AL - #1 TIME IN AL !!! CALEB JACKSON - PLEASANT GROVE - PLEASANT GROVE,AL - 3rd 4A STATE !!! RODNEY JOHNSON - EDNA KARR - NEW ORLEANS,LA - 4A STATE CHAMP !! TYLER DAVIS - MAE JAMISON - HUNTSVILLE,AL - 5A STATE CHAMPION !!! COREY WREN - JOHN CURTIS - RIVER RIDGE,LA - 60m D1 INDOOR CHAMPION !! CHASE SPANN- MONROE AREA - MONROE,GA - 5th 3A STATE !! KORIYUNNA ARRINGTON - PINE FOREST - PENSACOLA,FL- #1 PENSACOLA AREA !! RAINA PERRY - CAMPBELL - SMYRNA, GA - OPEN CHAMPION 2018 !! ASHTON LINDLEY - CAMPBELL - SMYRNA, GA !! JORDAN YARBROUGH - AUBURN - AUBURN,AL - 5th 7A STATE !!! MAKIYAH SILLS - HOMEWOOD - HOMEWOOD,AL - COMPETED 6A STATE !! SIERRA SESSIONS - EDNA KARR - N.O.,LA - #1 TIME in LA !! LONDON WOOLEY - THOMPSON - ALABASTER, AL !!! KEIRSTON PAIGE - HATTIESBURG - HATTIESBURG,MS - 5A STATE CHAMPION !! CHRISTOPHER HUDNALL-HARRISON CENTRAL-GULFPORT ,MS-6A STATE CHAMP! JALEN AIBOGUN - CENTER POINT - CENTER POINT,AL - 6A STATE CHAMPION !!! BECK O'DANIEL-ST.XAVIER - LOUISVILLE,KY - 3A STATE CHAMPION !!! ELIJAH COMPTON - MONROE AREA - MONROE,GA - 3A STATE CHAMPION !!! LANDON CHALDREN - BILOXI - BILOXI, MS - 6A STATE CHAMP !!! MYLES MRSHALL - LASSISTER - MARIETTA,GA - 3rd 7A STATE !!! ISABEL VALENZUELA - ST.PAUL'S EPISCOPAL - MOBILE, AL - 2nd 6A XC STATE !! HANNAH MINIUTTI - BLESSED TRINITY CATHOLIC-ROSWELL,GA -4th 7A STATE !! SARA BAILEY - BLESSED TRINITY CATHOLIC - ROSWELL, GA - 4A ALL STATE XC !! SAMANTHA ROGERS - AUBURN - AUBURN, AL - 2nd 7A STATE /DEF CHAMP !! LAUREN HENDRY - ST.JOSEPH ACADEMY-BATON ROUGE,LA -5A STATE CHAMP !! HALLIE STEWART - AUBURN - AUBURN, AL - 5th 7A STATE !! ALEX PITTS - MTN BROOK - MTN BROOK, AL - 4th 7A INDOOR STATE !! HANNAH BLOOM - HUNTSVILLE- HUNTSVILLE,AL - 3rd 7A INDOOR STATE !! HALEY STALLWORTH - HOOVER - HOOVER,AL - COMPETED 7A STATE !! OLIVIA BLACKMON- TR MILLER - BREWTON,AL - 3A STATE CHAMPION !! HANNAH DYAL - AUBURN - AUBURN,AL. -7A STATE CHAMPION !! ERIN FEGANS-LANDMARK CHRISTIAN-FAIRBURN,GA-1A PRIVATE STATE CHAMP! SOPHIE MARTIN-ST.JOSEPHS ACADEMY-BATON ROUGE,LA-2nd D1 INDOOR STATE!! EDIE SMITH - HOMEWOOD - HOMEWOOD,AL - 6A INDOOR STATE CHAMPION !! SAMUEL KELLUM - ST.MARTIN's EPISCOPAL -METAIRIE,LA - 1A STATE CHAMP!! COBY FREEMAN - GRAYSON - LOGANVILLE,GA !! CADE LITOLFF-BROTHER MARTIN-N.O.,LA -1st XC CHALLENGEof CHAMP !! CARSON BEDICS - HOMEWOOD - HOMEWOOD,AL - 6A ALL STATE XC !! PHILLIP GENDL - WEST FLORIDA TECH - PENSACOLA,FL - #1 TIME in PENSACOLA AREA !! JAMES LALONDE _ CATHOLIC - BATON ROUGE, LA- 2nd 5A STATE XC !! CLAY DERRICK - OAK GROVE - HATTIESBURG,MS - 6A STATE CHAMP !! CORY ANTHONY - WETUMPKA - WETUMPKA,AL - 3rd 6A STATE !! JACOB COBB - HUNTSVILLE - HUNTSVILLE,AL - 7A XC ALL STATE !!! LOUDEN BOUDREAUX - BELLE CHASE - BELLE CHASE,LA - 4A XC STATE CHAMP!! WILL STONE - HOMEWOOD - HOMEWOOD,AL - 6A STATE CHAMP/DEF CHAMP !! MYLES STOOTS - FAITH ACADEMY - MOBILE, AL - 2nd 5A STATE XC !! JONATHON BERTUCCI - ST.PAULS CATHOLIC - COVINGTON,LA - 6th 5A STATE !!! DYLAN ALLEN - MOOREVILLE - MOOREVILLE,MS - 4A STATE CHAMPION!!! OWEN SIMON - CATHOLIC - BATON ROUGE, LA - 4th D1 INDOOR STATE !!! JACKSON DANNER - HUNTSVILLE -HUNTSVILLE,AL - 7A ALL STATE XC!! GABE SCALES -HUNTSVILLE - HUNTSVILLE,AL !! HOOVER - HOOVER, AL - 2nd 7A STATE !! JAMES CLEMENS - MADISON , AL - 7A STATE CHAMPION / DEF CHAMPIONS !! PINE FOREST - PENSACOLA, FL - 7th 3A STATE!! CAMPBELL - SMYRNA , GA - 5th 7A STATE !! JOHN CURTIS - RIVER RIDGE ,LA - 2nd D1 INDOOR STATE !!! CENTRAL - PHENIX CITY,AL - 2nd 7A INDOOR STATE !! EDNA KARR - N.O.,LA -2nd 4A STATE !! HOOVER - HOOVER, AL - 7A STATE CHAMPIONS !! CATHOLIC - BATON ROUGE,LA - 5A STATE CHAMPIONS !! CENTRAL - PHENIX CITY ,AL - 2nd 7A INDOOR STATE !! St.XAVIER - LOUISIVILLE,KY - 3A STATE CHAMPIONS !!! CARVER - N.O.,LA - DEFENDING CHAMPIONS !!! ANGEL WILLIAMS - BEN FRANKLIN - N.O.,LA - 4A STATE CHAMPION !!! AIYA FINCH - HOMEWOOD - HOMEWOOD, AL - 6A STATE CHAMP /DEF CHAMP !! JALA RICHARD - DESTREHAN - DESTREHAN,LA - 2nd D1 INDOOR!! ASHLEE OSAJI - JAMES CLEMENS - MADISON,AL - 7A INDOOR STATE CHAMP!!! ISABELLE COCHRAN - CATHOLIC - MONTGOMERY,AL -2nd 4A STATE CHAMP!! JORDAN MOSS - FAITH ACADEMY - MOBILE,AL - OPEN CHAMPION 2018 !! AALIYAH BROWN -MUHAMMAD -BAKER -MOBILE, AL- 2nd 7A STATE !! CAMERON GOODMAN - JOHN CURTIS - RIVER RIDGE,LA- 2nd INDOOR STATE!! DIAMOND SMITH - JOHN CURTIS - RIVER RIDGE,LA !! ALEXIS PEGUES - AUBURN - AUBURN,AL !! VAL DIXON - DAVIDSON - MOBILE,AL - 8h 7A STATE !! 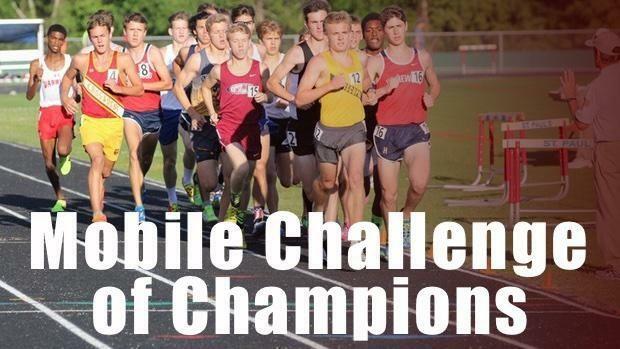 JOSH GRAHAM - DAVIDSON - MOBILE,AL -RANKED #12 in STATE!!! JOHN WATKINS - HOOVER - HOOVER,AL - 3nd 7A STATE !! DJ PATRICK - ELMORE COUNTY - ELECTIC,AL 4A - 5A INDOOR STATE CHAMP !! KYLE SMITH - HOOVER - HOOVER,AL - 2nd 7A STATE !! EDWIN RAINEY - NORTHRIDGE - TUSCALOOSA,AL - 2nd 6A STATE !! CALEB KARIUK - AUBURN - AUBURN,AL - 6th 7A STATE!! JEVORIS McINTOSH -MARY G. MONTGOMERY -SEMMES,AL -8th 7A INDOOR STATE !! HOLLY FOLEY - FAIRHOPE - FAIRHOPE,AL -!! ANNE CARLSON SYLVEST-MONTGOMERY ACADEMY-MONTGOMERY,AL-1A-3A STATE CHAMP !! BRADYN COARSEY - MCT CATHOLIC - MOBILE,AL -2nd 7A INDOOR STATE !! ROSLYN INABINETTE - OCEAN SPRINGS, MS - 3rd 6A STATE 11'1"
ANNIE LINEBERGER - FAIRHOPE - FAIRHOPE,AL - 2nd 7A STATE !! SAVANNAH MORGAN - FAIRHOPE - FAIRHOPE, AL - 7A INDOOR CHAMPION !! ALEX BROOKS - HOMEWOOD - HOMEWOOD,AL - 6A STATE CHAMPION !! JORDAN BROWN - DUTCHTOWN - GEISMAR,LA- 4th 5A STATE !!! NATALIE TASHMAN - HOOVER - HOOVER,AL - 6th STATE !! ABBIE JUNKIN - WINFIELD CITY - WINFIELD,AL - 2nd 4A STATE !! GABBY BIRD - FONTAINEBLEAU - MANDEVILLE, LA - 2nd 5A STATE !!! CLARA SABO - - SPANISH FORT - SPANISH FORT,AL- 2nd 6A STATE !!! ISABELLA BAKER- MONTGOMERY ACADEMY-MONTGOMERY,AL-2nd 1A-3A IND STATE !! BROOKLYN KIERBOW- BREMEN - BREMEN,GA - 3A STATE CHAMPION !! DANTE THOMAS - JOHN CURTIS - RIVER RIDGE, LA - 4th D1 INDOOR STATE !! CORY MEEK - EAST CENTRAL - HURLEY,MS - 5th 5A STATE !! MALIK JOHNSON - CENTRAL - PHENIX CITY,AL - 3rd 7A INDOOR STATE !! EBENEZER AGGREY- CATHOLIC - BATON ROUGE,LA - 2nd D1 INDOOR STATE!! CALOB GREEN - DOTHAN - DOTHAN, AL - 3rd 6A INDOOR STATE!! STEPHON MAY - HOMEWOOD - HOMEWOOD,AL - 2nd INDOOR 6A STATE!! JONAH HYDE - HELENA - HELENA, AL - 6A INDOOR STATE CHAMPION !! TJ FUNCHES - HELENA - HELENA,AL - 4th 6A INDOOR STATE !!! JARED HURST - THOMPSON - ALABASTER,AL -COMPETED 7A STATE!! COLTON SMITH - CULLMAN - CULLMAN,AL- 5th 6A STATE !!! ERIC WILLIAMS - BLOUNT - EIGHT MILE, AL - COMPETED 6A STATE !! DEVON WITHERSPOON - PINE FOREST - PENSACOLA, FL - #1 in P'COLA AREA!! RONALD HARRIS - PINE FOREST - PENSACOLE,FL - #2 in P'COLA AREA !! LAILA GUY - BATON ROUGE MAGNET - BATON ROUGE,LA !!! KIRSEN GARDNER - HELENA - HELENA, AL - 2nd 6A STATE CHAMPION !!! HANNAH DAFFIN - McGILL TOOLEN CATHOLIC - MOBILE,AL - 7A ST. CHAMP !! ZORIA MILLER - THOMPSON - ALABASTER,AL - 4th 7A INDOOR STATE !! DEJA WASHINGTON - HOOVER - HOOVER ,AL - 4th 7A STATE !! ROSALIND STAIE - HOOVER -HOOVER,AL - 6th 7A STATE !!! ARIEL MYERS - JOHN CURTIS - RIVER RIDGE,LA - 7th 5A STATE !! LAILAH MALONE - CAMPBELL - SYMRNA,GA !! DARRICE GRACE -ROBERTSDALE - ROBERTSDALE,AL -COMPETED 6A STATE !! MAGGIE WHITE - HOMEWOOD - HOMEWOOD,AL - 6A STATE CHAMPION !! ZACH BERNARD - LAKESHORE - MANDEVILLE,LA- RANKED #4 PRE SEASON !!! ZION BINION - NORTHRIDGE - TUSCALOOSA,AL - 2nd 6A STATE !! JORDAN VALRIE - MURHPY - MOBILE,AL- 7A STATE !! JOSIAH HARRY - MOBILE CHRISTIAN - MOBILE,AL - 3A STATE CHAMP !! NATHAN COOPER - DOTHAN - DOTHAN,AL - 6A STATE CHAMPION !! GRANT SANDERS-FT.WALTON BEACH-FT.WALTON BEACH, FL-COMPETED 3A STATE !! DORIAN TOLBERT - PELHAM - PELHAM, AL -3rd 6A STATE !!! BAILEY HAYES - CULLMAN - CULLMAN,AL !!! HARRISON DIMICK - OAK MTN. - BIRMINGHAM,AL - 4th 7A STATE !! ANNA KAY CLARK - HOOVER - HOOVER,AL - 2nd 7A STATE !! KARMEN WILLIAMS - BLOUNT - EIGHT MILE,AL- 3rd 6A STATE !!! LYDIA SEALS - WINFIELD CITY - WINFIELD, AL -2nd 4A STATE !!! ERIN LONG - PELHAM - PELHAM,AL - 7A STATE CHAMPION !! KAMERYN GLASGOW - SACRED HEART N.O. - N.O.,LA. - 3rd 3A STATE!! SHANIYA HOLLEY - AUBURN - AUBURN,AL - 3rd 7A STATE !! KATELYN SMITHERMAN - ISABELLA - MAPLESVILLE,AL - 1A STATE CHAMPION !! NISSI CLINGAN - BROOKS - KILLEN,AL - 5A STATE CHAMPION !! ARIEL PEDIGO - PARKWIEW BAPTIST - BATON ROUGE,LA- 3rd 4A STATE !! DESTINY SALDANA - NORTHRIDGE - TUSCALOOSA ,AL - COMPETED 6A STATE !!! ALERIA SMITH - TR MILLER - BREWTON,AL - 5th 3A STATE !! J'MARRI McCALL - HOOVER - HOOVER, AL - DEFENDING CHAMP !! DYLAN LAWRENCE - GEORGE COUNTY - LUCEDALE ,MS - 5th 6A STATE !! DJ PATRICK - ELMORE COUNTY -ECLECTIC ,AL -4A SECTION CHAMP !! EDWIN RAINEY - NORTHRIDGE - TUSCALOOSA ,AL - 4th 6A STATE !! LANCE WILLIAMS - JOHN CURTIS - RIVER RIDGE,LA - 3rd 5A STATE !!! ERIC WILLIAMS - BLOUNT - EIGHT MILE,AL - 2nd 6A STATE !!! CAMERON O'NEAL - BILOXI - BILOXI, MS - 6th 6A STATE !!! ANTHONY WOODS - ST.XAVIER - LOUISVILLE,KY. - COMPETED 3A STATE !! ELAYSHA DURANT-PINE FOREST-PENSACOLA,FL-MADE STATE 2A STATE FINALS !!!! JADA ALSTON - CAMPBELL - SMYRNA, GA - DEF CHAMP/ 3rd 7A STATE !! MYKEA BOYKIN - HATTIESBURG - HATTIESBURG,MS - 2nd 5A STATE !! AIYA FINCH - HOMEWOOD - HOMEWOOD, AL - 6A INDOOR STATE CHAMPION !! AMY WARREN - BELLE CHASE - BELLE CHASE, LA - 2nd 4A STATE !! NIYA OWEN - THOMPSON - ALABASTER,AL - 7th 7A STATE !! KELSEY WHITE - BAKER - MOBILE,AL 6A INDOOR STATE CHAMPION ! CAMERON GOODMAN-JOHN CURTIS-RIVER RIDGE,LA- D1INDOOR STATE CHAMP!! VAL DIXON - DAVIDSON - MOBILE,AL - 6th 7A STATE !! GAGE DIXON - ARAB - ARAB,AL - 4A - 5A INDOOR STATE CHAMPION !! LOGAN LEBLANC - LAKESHORE - MANDEVILLE,LA - 6th 4A STATE !! TREY BOUCHER - PARKVIEW BAPTIST _ BATON ROUGE,AL - 2nd 4A STATE!! WALKER JUNKIN - WINFIELD CITY - WINFIELD,AL -4A STATE CHAMPION !! MYLES WALDEN - SPANISH FT. - SPANISH FT.,AL - 4th 6A STATE !! ELI BROOKS - HOMEWOOD - HOMEWOOD,AL - 2nd 6A STATE !! CAMERON AIME - MAUREPAS - MAUREPAS,LA-CLASS C STATE CHAMP !!! DAVID DOLAN - McGILL TOOLEN CATHOLIC - MOBILE,AL -3rd 7A STATE !! BLAKE RIMMER - PENSACOLA CHRISTIAN - PENSACOLA,FL - 1A STATE CHAMP!! WALKER SMITH - HOMEWOOD - HOMEWOOD,AL- 4th 6A INDOOR STATE !! CATHERINE WEST - BAYSIDE - DAPHNE,AL - 1A- 3A INDOOR STATE CHAMP !! KAMDYN SKINNER -PASS CHRISTIAN -PASS CHRISTIAN, MS-4A STATE CHAMP !! ALACIA MYLES - EDNA KARR - NEW ORLEANS,LA - DEFENDING CHAMP !! LONDON WOOLEY -THOMPSON -ALABASTER ,AL -#1 JUMP AL 2018 !! ELLA KEATON - MCT CATHOLIC - MOBILE,AL - 7A SECTIONAL CHAMP !! OLIVIA BEARD - ST.PAULS EPISCOPAL-MOBILE, AL -5A STATE CHAMP !! JAHNELLE SAUNDERS - BETHEL - HAMPTON,VA -3A STATE CHAMPION !! ARIEL PEDIGO - PARKWIEW BAPTIST - BATON ROUGE,LA- 5th 4A STATE !! ERIN LONG - PELHAM - PELHAM, AL- 3rd 6A STATE !! DIAMOND SMITH - JOHN CURTIS - RIVER RIDGE,LA - 2nd D1 INDOOR STATE !!! CAROLINE HOLLINGWORTH - CULLMAN - CULLMAN, AL - 6A STATE CHAMP !! KIARA RISHER - JAMES CLEMENS - MADISON,AL- 7A STATE CHAMPION !!! JOSHIA HARRY - MOBILE CHRISTIAN - MOBILE,AL - 3A STATE CHAMP!! TOMMY DANNER - NORTHRIDGE - TUSCALOOSA,AL - 4th 6A STATE !! ZION BINION -NORTHRIDGE - TUSCALOOSA,AL - 2nd 6A STATE !! NATHAN COOPER - DOTHAN - DOTHAN ,AL - 6A STATE CHAMP !! GRANT SANDERS - FT.WALTON BEACH - FT.WALTON BEACH, FL !! KAYA LUDGOOD - GEORGE COUNTY - LUCEDALE, MS - 6A STATE CHAMP !! STEVE VILLEGAS - THOMPSON - ALABASTER,AL - 4th 7A STATE !! BAILEY HAYES - CULLMAN - CULLMAN, AL - 5th 6A INDOOR STATE !! RYAN LEE - HOOVER - HOOVER,AL - 4th 7A STATE !! HARRISON DIMICK - OAK MTN. - BIRMINGHAM,AL - 2nd 7A INDOOR STATE !! GERQUAN SCOTT - DAVIDSON - MOBILE,AL - !!! TIA ESPINOSA - WEST FLORIDA TECH - PENSACOLA,FL -#1in PENSACOLA AREA !!! HANNAH DAFFIN - McGILL TOOLEN CATHOLIC - MOBILE,AL - 2nd 7A STATE !! LAILAH MALONE - CAMPBELL - SMYRNA, GA - 8th 7A STATE !!! KIRSEN GARDNER - HELENA - HELENA,AL - 2nd 6A STATE !!! JORDON TIDWELL - BROOKS - KILLEN,AL - 5A STATE CHAMPION !!! MAGGIE WHITE - HOMEWOOD - HOMEWOOD,AL -!!! JOLIE MATHERNE - JOHN CURTIS - RIVER RIDGE,LA -RANKED 5th IN LA !! LAILA GUY - BATON ROUGE MAGNET - BATON ROUGE,LA- RANKED 3rd IN LA !! DARRICE GRACE - ROBERTSDALE - ROBERTSDALE,AL - RANKED 5th in AL !!! JOURNEE STEPHENSON- PINE FOREST-PENSACOLA,FL COMPETED 2A STATE!! KATELYN SMITHERMAN - ISABELLA -MAPLESVILLE,AL- 1A STATE CHAMP!! BESTOR McFADDEN - St.PAULS EPISCOPAL - MOBILE, AL - 6th 5A STATE !!! JOSH ESTES - WINFIELD CITY - WINFIELD, AL - 4A STATE CHAMPION !!! BRANDON CRUM - AUBURN - AUBURN,AL -7A STATE CHAMPION !! SAM FORT - HOOVER - HOOVER,AL - 2nd 7A STATE !!! JACK MADDOX - CATHOLIC - BATON ROUGE,LA- TOP 10 RETURNER in LA!! CARTER CRUM - AUBURN - AUBURN, AL - COMPETED 7A STATE !! SPENCER BALDWIN - McGILL TOOLEN - MOBILE,AL - 6th 7A STATE !! !